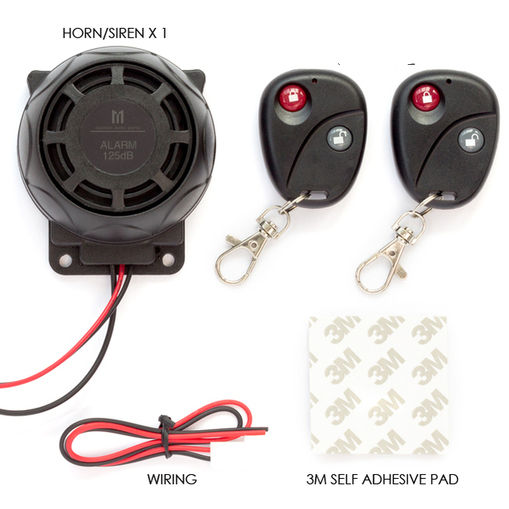 This simple and very effective Alarm can be installed in minutes by anyone and requires no modification to your bike at all. Simply connect the red wire to the positive terminal on your battery and the black wire to negative and you are done. As soon as anyone tries to move your bike the very LOUD alarm will go off. 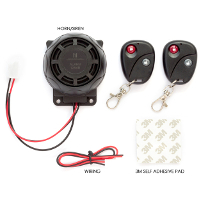 Perfect for any vehicle that has a 12v electrical system. 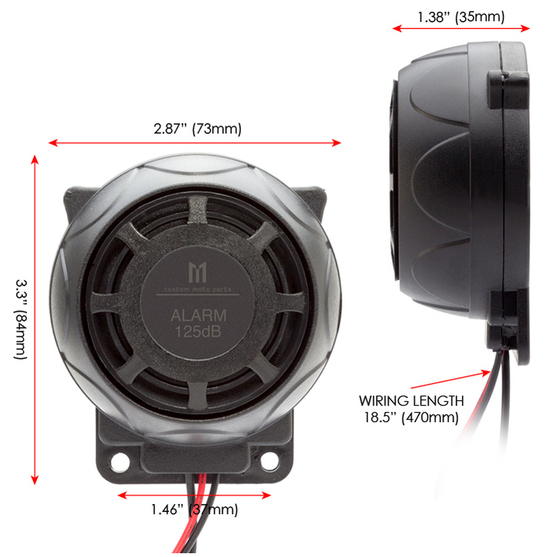 125 dB Siren - VERY LOUD!